Good morning and greetings from the miners of the former Durham coalfield. Many of you might be wondering why we’re here. Indeed, with the closure of the last coal mine in County Durham (once the biggest coalfield in the world) in 1994 are we still a voice to be considered. The answer is that we have survived one of the greatest attacks on a working class community ever to be inflicted. Our coal mines are gone but our heritage and culture stands firm. They may have taken our livelihoods but they have not taken our pride. The Durham Miners’ Association once represented 200,000 coal miners. Now we have 2,000 surviving members. But we organise the biggest celebration of trade union and working class history on the planet. That is called the Durham Miners’ Gala. You don’t read much about it in the British media but it is bigger than the Glastonbury festival. It happens on the second Saturday in July – almost every year since 1871 – and it is a magnificent parade of banners, brass bands and other trade union contributors. All the leading Labour MPs and trades unionists attend what we call The Big Meeting. The reason I’ve taken sometime to set the scene for us being here is that, this year, we were proud to host the Freedom for Ocalan campaign as the international theme for the Gala. We met with Ibrahim Dogus in February of this year and he outlined the campaign to us. Other speakers will cover the detail of the campaign. The Durham Miners Association has a long history of supporting oppressed peoples and individuals. The Ocalan Campaign reminds us of the brutal injustices of the Apartheid era in South Africa. To us Abdullah Ocalan is the Nelson Mandela of Europe. We fought alongside many others in the 1970’s and 80’s to seek an end to apartheid. We maintained close links with the African National Congress throughout this period. We raised funds and gave material support to the anti-apartheid movement and the Freedom of Nelson Mandela. 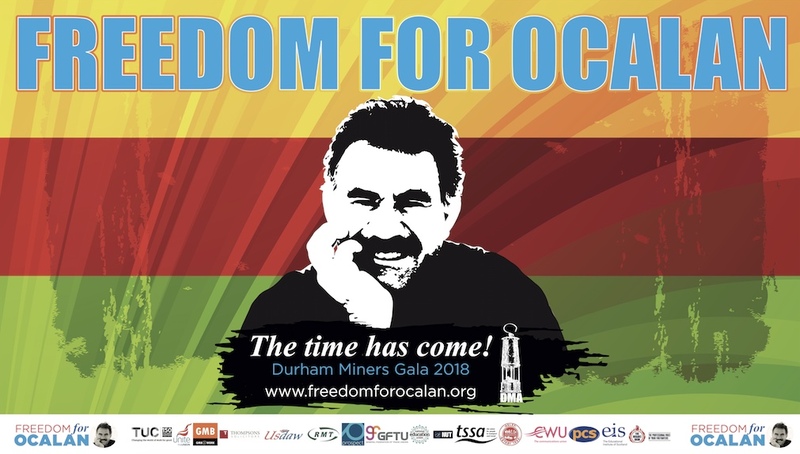 So, now, it is only right that we support the Freedom for Ocalan campaign. Nearly every British trade union supports this campaign and the broader campaign for Kurdish independence. It’s not just a trade union issue either. The campaign for Kurdish rights has cross-party support. We can no longer expect Kurdish forces to bear the brunt of the struggle against ISIS while other state forces stand back. 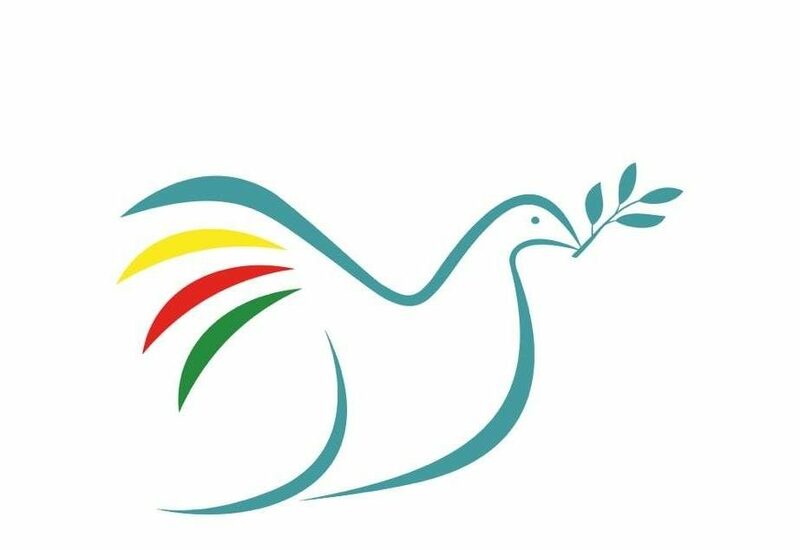 We can no longer tolerate Erdogan’s brutal reprisals in Afrin and elsewhere to continue. We see Ocalan and the Kurdish movement as a bulwark against anti-democratic and fundamentalist forces. These are the reasons the Freedom for Ocalan campaign featured so prominently at the Durham Miners’ Gala. Some people asked ‘what does this have to do with the Durham miners’. Everything we hold close to our hearts about democracy, freedom from oppression and the free will of people is encapsulated in the Ocalan campaign. It is important to the people of County Durham and it is important to the world. We have been here before – with fascist regimes gaining strength in the heart and periphery of Europe. The Ocalan campaign stands against this. 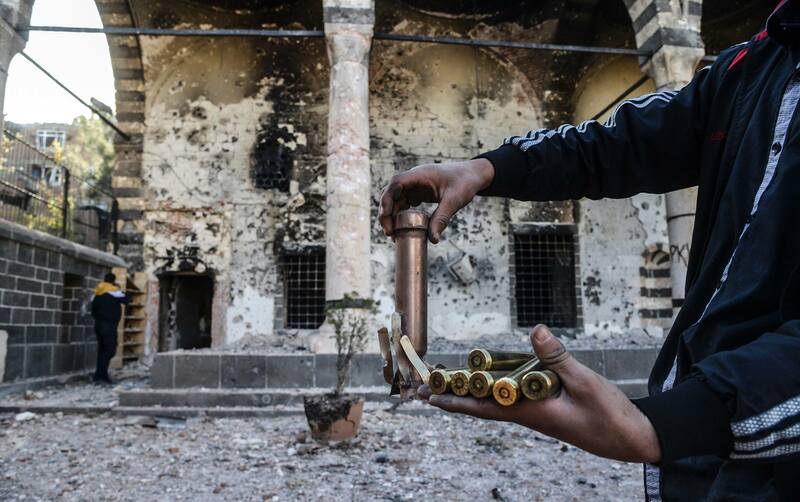 The Kurdish movement’s values stand against this. We should all remember that the attack on the Durham Miners came from Margaret Thatcher’s government. She and her colleagues used all the power of the British state to defeat a year-long strike to defend jobs and communities. The consequences of losing that strike are the immiseration of our communities. We have still not recovered from that act of class war. I use the term class war because that is what it was. The rich and powerful wanted to defeat organised labour. They did that under the cloak of democracy and laid waste to vast parts of the UK’s coal mining areas. And they didn’t offer any post war economic settlements. They just let the people suffer in their defeat. Thatcher called Nelson Mandela a terrorist. Erdogan calls Ocalan a terrorist. The Durham miners see the parallels between their struggle and that of other oppressed, liberation movements. We will continue to support Ocalan until justice is won. Until the Kurds have the right to determine their own future.